The final part of this four part tour takes us to the very edge of North Norfolk’s Heritage coast and the nature reserves of Holkham and Blakeney. Today it resounds with tourists and bird watchers, during the Second World War, it would have been very different. Our first stop is North Creake, saddling the B1105 road to Wells-Next-the-Sea, it houses a few surprises. 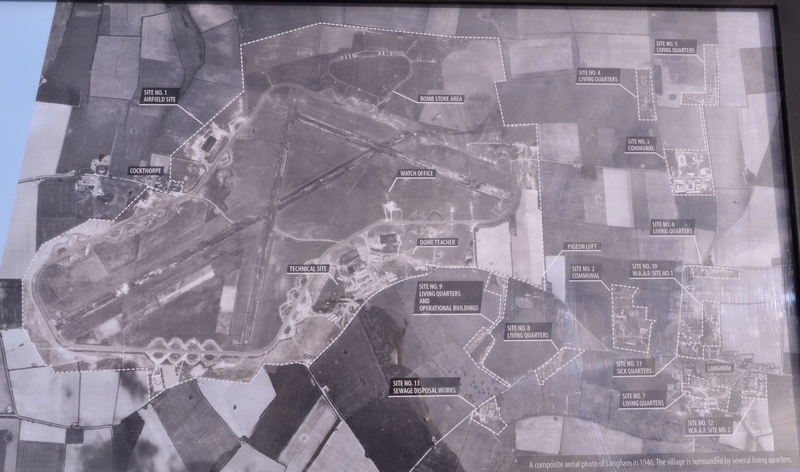 RAF North Creake taken in July 1945, shows a large number of dispersed aircraft around the perimeter. 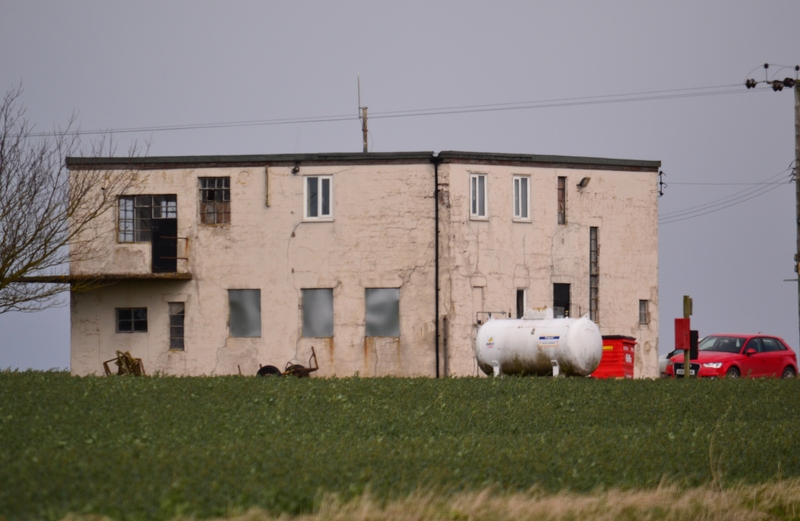 North Creake, like many of the nearby airfields around this part, was originally a satellite for Docking, which in turn was originally a satellite for Bircham Newton. Construction commenced on this decoy site in 1940/41, and North Creake, known locally as Egmere from the medieval site it stands on, operated in this role until 1942. 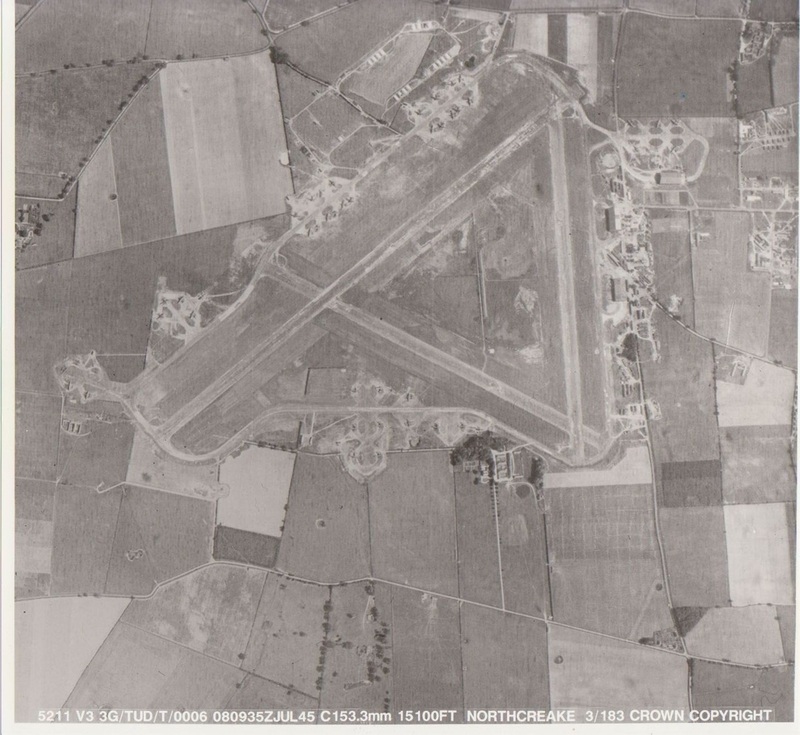 With the need for more heavy bomber bases, it was soon decided to upgrade North Creake to a Class A airfield, with accommodation for up to 2,951 male and 411 female staff. Three concrete runways were added, two, 01/19 and 13/31 both 4,314 ft (1,315 m) and the third 04/22 of 5,643 ft (1,720 m). To accommodate the aircraft destined to reside here, 36 loop hardstandings, the majority of which are to the north-west of the site, two T2 hangars and one B1 hangar were also added in. The control tower would be built to the East side of the airfield adjacent to the technical site. The AML Bombing Teacher nestles in the woods. Construction was finally completed in 1943, however changes to the structure of Bomber Command, meant that no flying units would operate from here until well into May the following year. Initially part of 2 Group, North Creake was passed like so many on this tour, to 100 Group, Bomber Command, and would also operate in the Electronic Warfare role. 199 Squadron was the first to arrive. 199 Squadron initially operated Short Stirling bombers, and latterly HP Halifaxes, on radio and radar jamming operations. Flying between 5th June 1944 and 3rd May 1945, they used both ‘Window’ and ‘Mandrel’ on sorties that were frequently combined with standard bombing operations. 199 squadrons ‘C’ flight was broken away from the unit and formed into 171 squadron on September 8th 1944, but carried on this role in support of 199, whose last mission took place on the night of 2nd/3rd May 1945 – in which they flew 17 successful bomber support sorties by Halifaxes in support of an attack against Kiel. On July 27th, 1945, 171 squadron was disbanded, 199 sqn went 2 days later (being reformed in 1951 with Avro Lincolns, de Havilland Mosquitos, EE Canberras and finally the Vickers Valiant in 1957) and the site was closed to operational flying. It remained as a storage for surplus de Havilland Mosquitos prior to scrapping for a further two years until finally closing in 1947. One of the remaining T2 Hangars. Luckily, the causal observer can still see much of this history at North Creake. The road passes directly though the centre of the Technical Site. 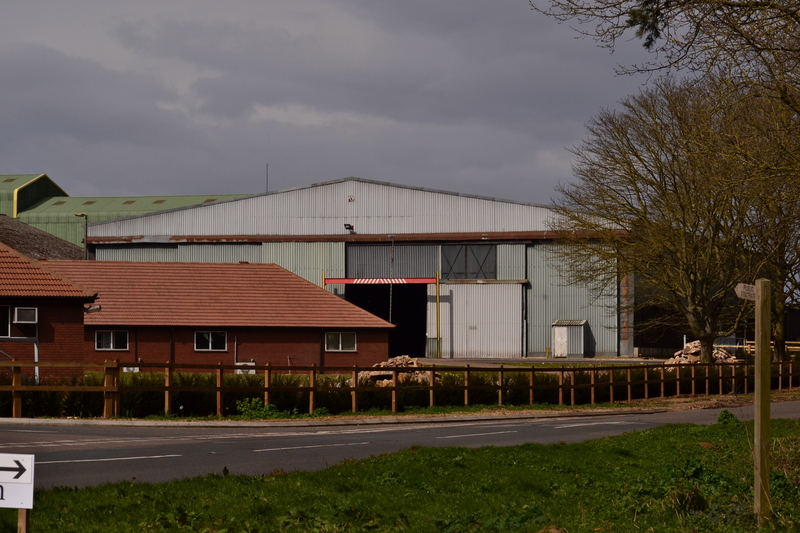 Nissan huts now used by small industrial units, still thrive, two of the hangers remain, both in use by an agricultural company and minor buildings such the Bomb Teacher and turret trainer can be found lurking between the trees. 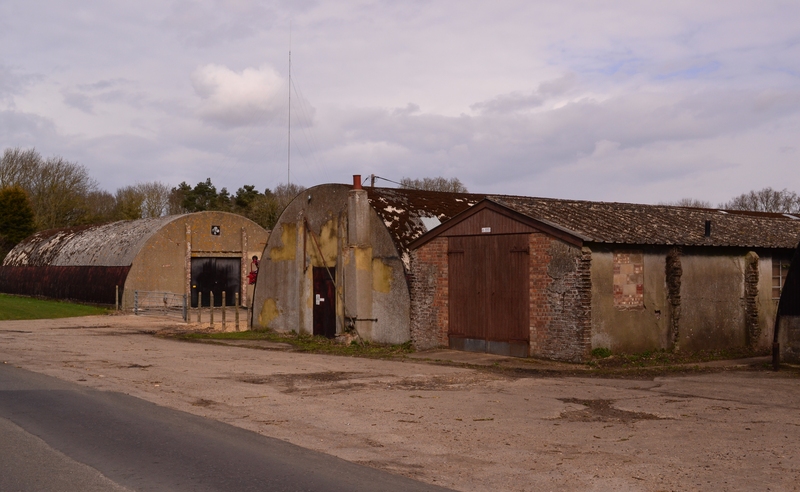 The main stores, gas clothing and respirator store are also in use, as are a workshop and away to the north-east, the Airman’s huts. Main stores and Gas clothing huts. North Creake’s runways and taxiways along with two looped hardstandings, are all but gone, covered in trees or used as pathways for the local farmer, but their location very much evident from satellite photos. Development has begun of yet another solar farm, and these great unsightly panels are gradually taking over yet another of Britain’s wartime airfields. The one Jewell in the crown of North Creake, has to be the control Tower, purchased by private owners, it has undergone a painstaking transformation being refurbished and turned into a Bed and Breakfast. Modernised inside, it remains one of the better preserved buildings on the site. North Creake’s Tower now a Bed & Breakfast. To the south of the site, a memorial has recently been erected by the Airfield’s of Britain Conservation Trust, as a lasting tribute to not only the 17 crews who never returned, but to all those who served at RAF North Creake during the latter days of World War Two. 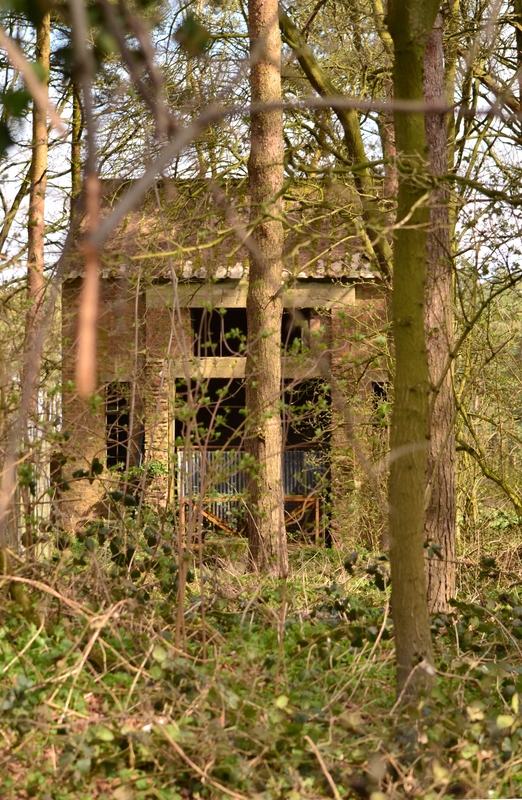 North Creake is certainly a gem for those wishing to see airfield architecture first hand, and if you desire, the chance to stay inside a tower that would have played a big part in Britain’s attack on Nazi Germany. Leave North Creake heading north toward the coast, and then turn east. A few miles away lies our next and final stop, RAF Langham. RAF Langham is located at the tip of North Norfolk’s coast. Its location perfect for the role it was to operate. Built as a satellite to Bircham Newton, it opened in 1940, with three grass runways, and would take aircraft from a number of nearby airfields. Not having any official resident units until 1941, when the Polish and Czech units of 300 and 311 squadrons used it as a forward operating base, it saw little operational action. Langham was initially used as a gunnery training airfield, towing targets for gunnery practice at nearby Stiffkey, a few miles to the north. This is perhaps Langham’s most famous role and the one that many people associate with Langham. Langham Airfield (photo of the display board at Langham Dome). Then in November 1942 Langham was closed and redeveloped having concrete runways laid and around 35 looped style dispersals. The longest runway, (NE/SW) was of 1,988 yards, the second (N/S) 1,400 yards and the third (E/W) of about 1,400 yards all approximate. The accommodation sites were well away from the airfield many in and around the village of Langham itself to the east or south-east. Three T2 hangars were also erected, one to the north-west and two the south-east in the technical area. There were also various technical and administration blocks and a bomb storage area well away to the north of the site. The first operational units arrived in April 1944, with Beaufighters of 455 (Australian) and 489 (New Zealand) squadrons of the Beaufighter Strike Wing, on the 8th and 13th respectively. This wing would famously form a combined attack against enemy shipping in the North Sea, being responsible for the sinking of 4 ‘U’ Boats and 36 surface vessels whilst here. A combination of nose mounted cannons and underwing rockets proved a deadly adversary for the flak ships and merchant vessels of the German Navy. In August that year, the 521st Squadron moved from their base at RAF Docking to Langham to carry out its role of meteorological reconnaissance. Operating with Lockheed Hudsons, they would soon be ‘upgraded’ to Boeing’s massive, B-17 adapted for these special duties. Other coastal command roles such as air-sea rescue were also carried out from Langham and a range of aircraft types would operate from here for the duration. A collection of technical buildings still exist today. Post war Langham was used by the Royal Netherlands Air Force as a Technical Training School, until June 1947 when it was vacated and then finally put into care and maintenance in the following September. For a short period between March 1953 and November 1958, it became a target towing site once more, pulling targets for No. 2 Civilian Anti-Aircraft Cooperation Unit and finally as if to defy the odds, it was used as an emergency landing ground for aircraft from nearby RAF Sculthorpe. As with many of these Norfolk sites, Langham was eventually sold off, bought by Bernard Matthews becoming home to a number of turkey Sheds, the role it performs to this day. Like so many in Norfolk, Langham’s main runway now houses poultry. The majority of the concrete layout of Langham remains today, utilised by the company for transport and storage. The technical sites and accommodation sites virtually indistinguishable from the farmland it once occupied. 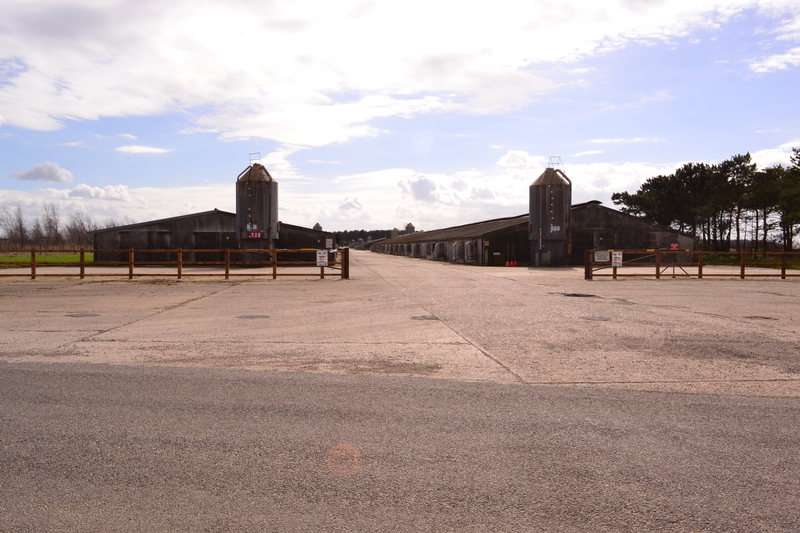 A small collection of buildings can be seen from the public road including: the watch tower, Fire tender shed, a Floodlight trailer, tractor shed, a Night flying equipment store and a small brick hut used for weather balloons. To the north-east, on the brow of the hill sits the restored battle headquarters. 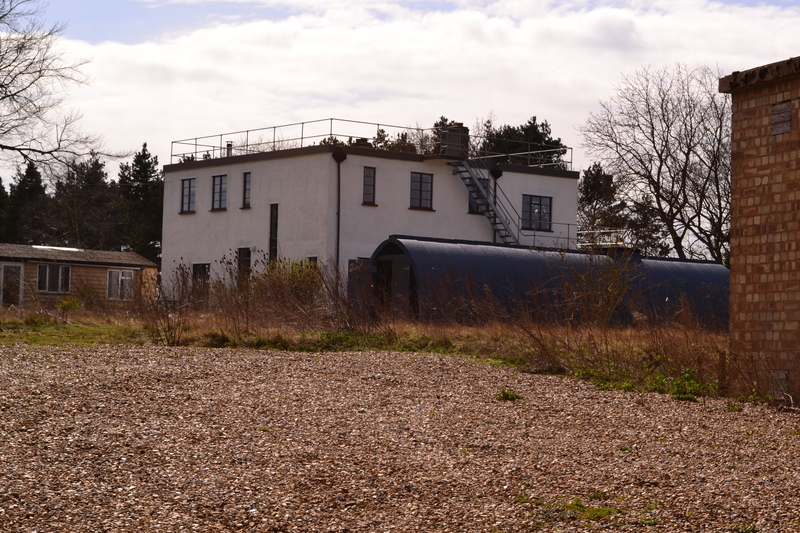 But certainly the most famous and most distinguishable building of this site, is the former gunnery trainer dome. 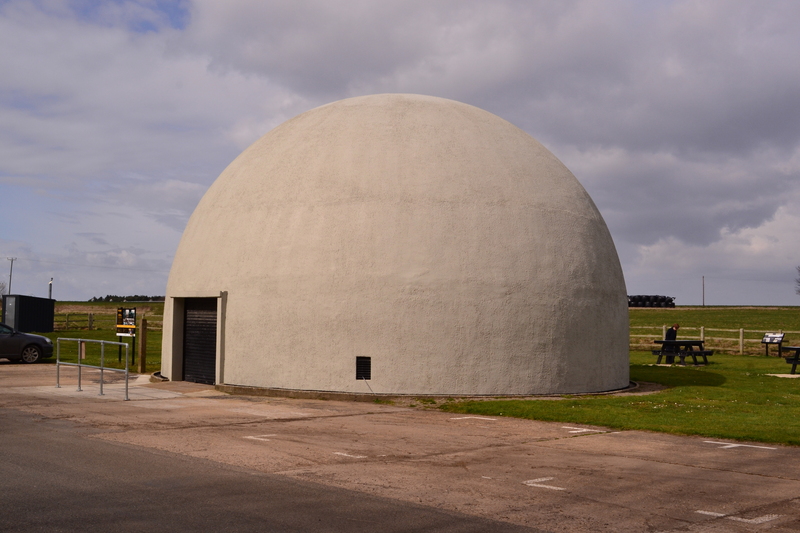 The ‘famous’ Langham Dome – former Gunnery Trainer. Refurbished through Lottery Money, the dome is now classed as an ancient monument and a museum run by the Trust and Friends of the Langham Dome. Much has been written about the dome and recently (May 17th 2015) the BBC ran a programme about its development and history which is available on BBC iplayer for a short period. Only a small number of these structures exist today, none of which are accessible, which is what makes the Langham dome so special and unique. Developed in conjunction with Kodak, it projected a film of an aircraft onto the dome wall, to simulate an attack, at which the gunner would ‘fire’ his gun. The trainer would measure the trainees accuracy using a dot to the front of the aircraft visible only to himself. A remarkable breakthrough in gunnery training, it led the way in anti-aircraft training for a good number of years even after the war. 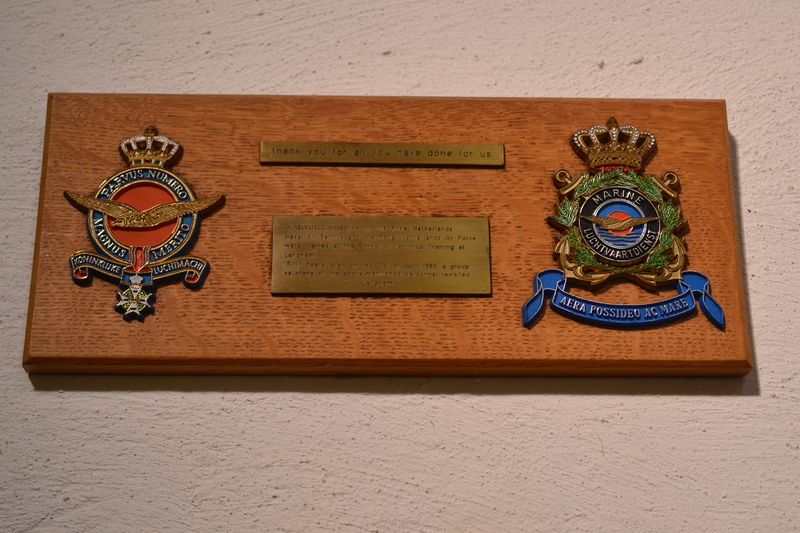 A plaque from Veterans of the Royal Netherlands Airforce in the Church at Langham. 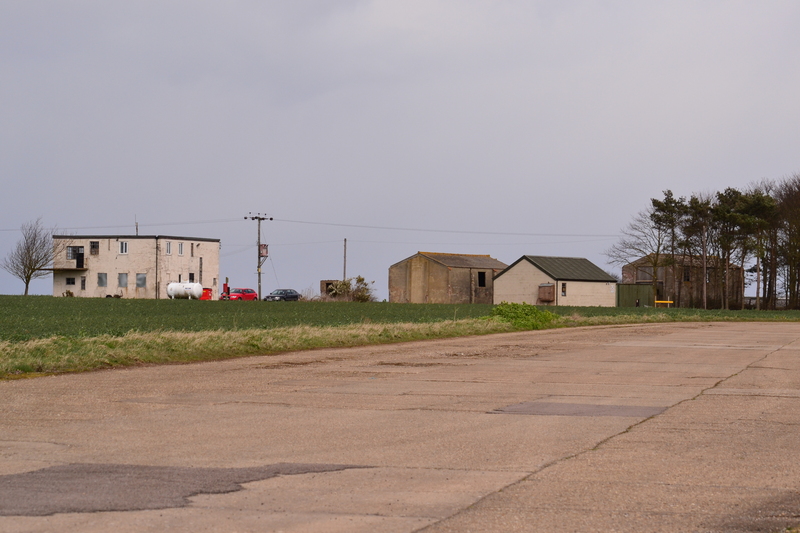 Langham is one of Norfolk’s most Northerly airfields, it provided a safe haven for returning aircraft, and its residents conducted air-sea rescue missions, sank a number of ships and played a role in meteorological reconnaissance and anti-aircraft training. A mixed bag, but certainly an important one, the memory of Langham should continue and thrive for without it, there would certainly have been many more casualties in the Second World War. Details of the North Creake Control Tower Bed & Breakfast can be found here. A website dedicated to the Dome and life at RAF Langham can be found here. It includes a range of photographs and first hand accounts of what it was like to live on or near the airfield. The BBC iplayer programme may only available in the UK and for a short period of time. You can find it here. Much of the concrete at Langham has been lifted since you report. Thank you Tony it just goes to show how quickly these places are disappearing.